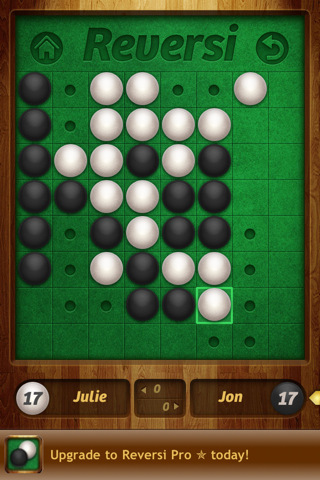 Reversi for iPhone: lets you to play this game in 1 or 2 player modes on your device. Its AI’s level of play can be adjusted easily. 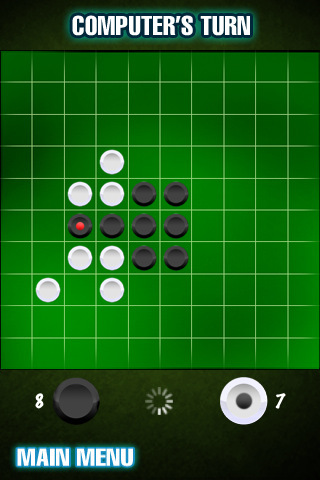 Cool Reversi: another Reversi app for iPhone and iPad. It has 7 levels and statistics for each level. You can redo or undo to your heart’s content. 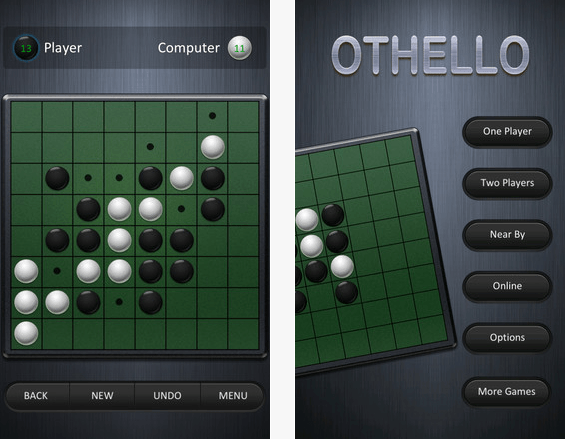 Othello++: brings the game of Othello to your iPhone. 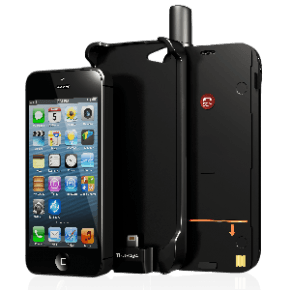 It has 3 levels of play and offers Game Center integration. 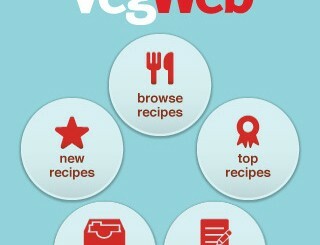 The user interface is pretty clean. 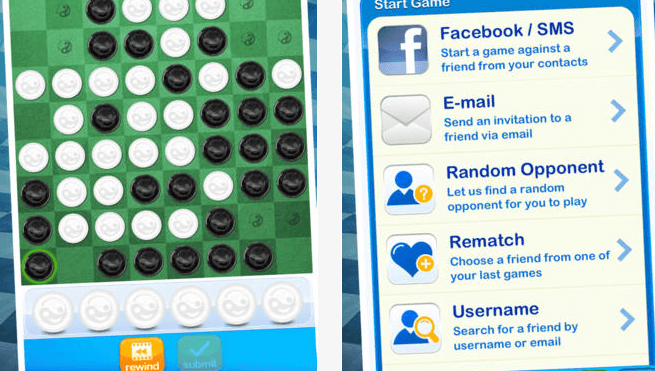 Isrever Twist for iPhone: not only allows you to play Reversi against AI on your phone, it also has multiplayer play. You can choose between 8×8 or 10×10 game boards. The Reversi: a good looking iPhone Reversi app with 30 levels of difficulty for beginners and more advanced players. You can play against a friend or the computer. 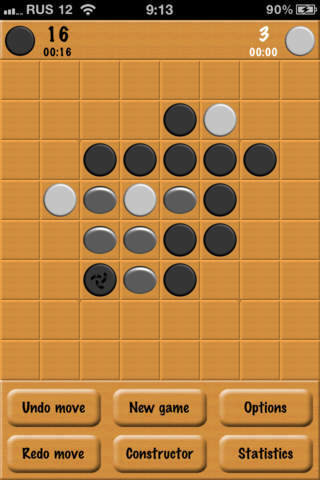 Your Move Reversi: this iPhone Reversi game has 7 computer opponents for you to play against. 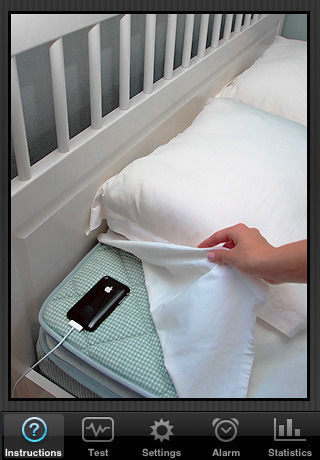 You can challenge your Twitter and Facebook friends. The game keeps track of your play too. Did we miss anything? 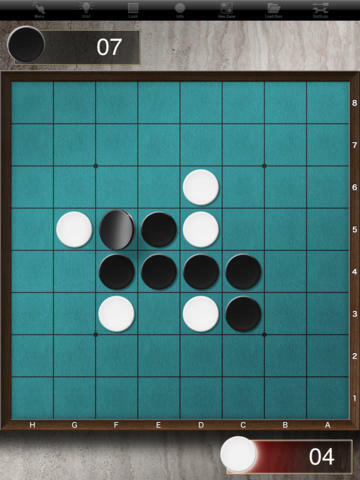 Have you found better iPhone Reversi apps? Please share them here.